Hair developer is a type of cream or liquid chemical used in the hair coloring, highlighting or lightening process. Its primary purpose is to activate the color process by opening the cuticles so that the chemical can penetrate the hair shaft. 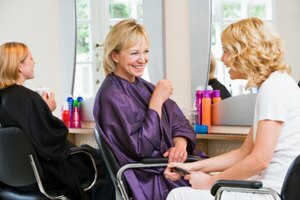 Choosing a developer to lighten your hair will depend entirely on your natural color. Never use any developer over 30 volumes when you lightening your hair as the strength of the chemical can be too strong and cause burns if it touches your scalp. 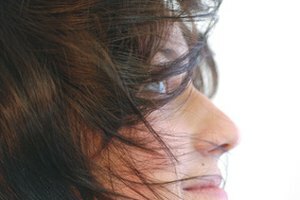 Thirty volume developers are typically used on dark hair, while lower volumes of developer, such as 10 and 20, are used for naturally lighter hair. Apply a deep conditioner to your hair a day prior to the day you plan on lightening your hair. This will help to minimize damage that may occur from the chemicals required for the lightening process. Combine the pre-measured packages of 30 volume developer with the hair bleach that came in the lightening kit. Stir the developer and bleach with the brush in a small plastic bowl. If products are purchased separately, combine 1 ounce of 30 volume developer with 1 ounce of bleach powder. Separate the top section of hair from the bottom section. Use several hair clips to pull the top section of hair up and away from the bottom section. 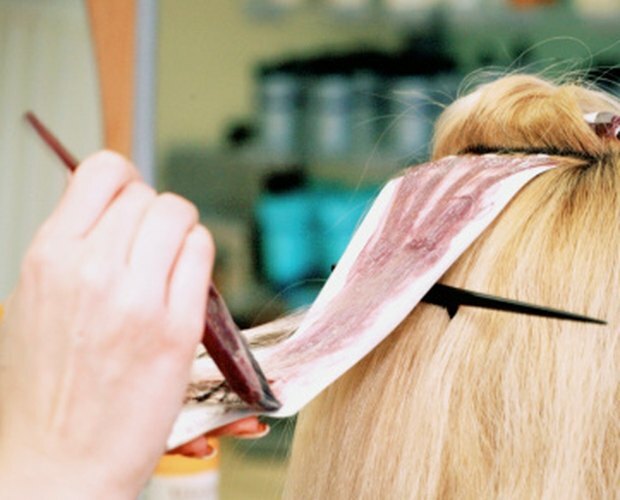 Grab a 2-inch section of hair from the bottom layer. Brush the developer and bleach combination onto the entire section of hair, from root to tip. Brush all sides of the section for even coverage. Repeat this process until you have applied the developer and bleach combination onto all the hair you wish to lighten. Work quickly as 30 volume developer will lighten your hair in a short period of time. Leave the product in your hair for up to 30 minutes. Rinse the developer and bleach from your hair when it has reached your desired level of lightness. Use a gentle shampoo to remove the chemicals, and rinse thoroughly to remove all products from your hair. Apply a toner if your hair ends up with an orange tint. 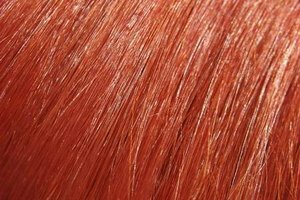 Your hair can become orange if it is naturally dark and you try to lighten it too much. Work the toner through the hair from root to tip with your fingers. Allow the toner to set on the hair for 10 minutes before rinsing. Always wear gloves when working with hair chemicals. Avoid brushing the developer and bleach combination on your scalp as this can cause irritation, burning or a discoloration of your skin. How Do I Mix Hair Toner With Developer?